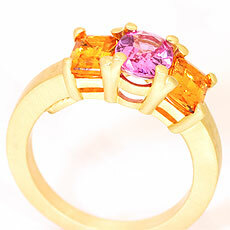 Custom made 18kt yellow gold pink sapphire and mandarin garnet ring. 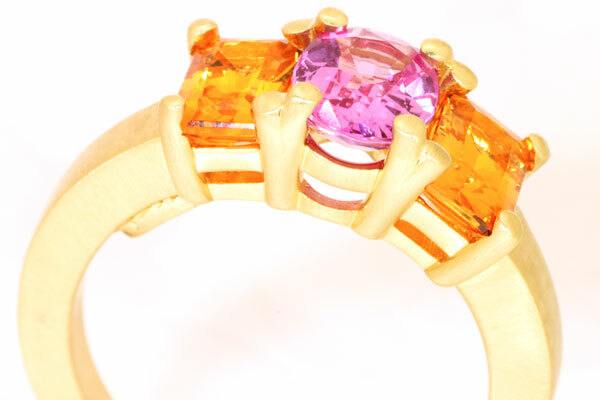 The bright bubble gum pink of the sapphire blends exquisitely with the tangerine mandarin garnets. The glittering cut of the oval sapphire against the princess cut of the mandarin garnets complement one another. The blending of colors look like the rising desert sun.